During a two-day visit to Tiaret, Hocine Nacib, Minister of Water Resources, announced priority funding for drinking water supply, which is expected to be expanded to 30 other locations. Tiaret is a city in central Algeria with more than 200,000 inhabitants. Like several other localities, it has suffered since the end of last year a disruption in the supply of drinking water in a context of severe drought. 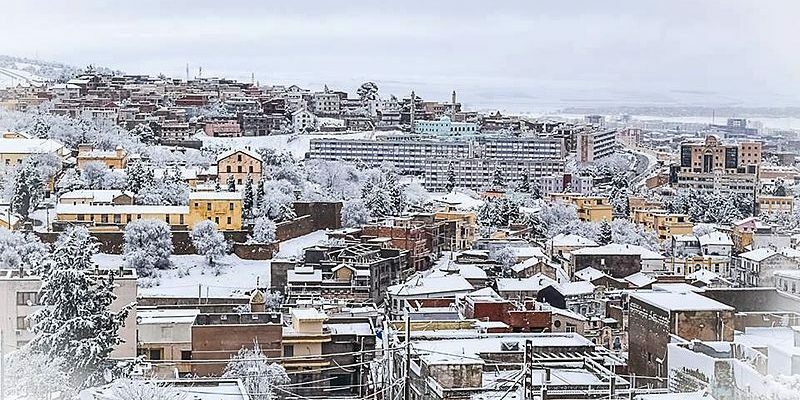 In 2017 alone, the city of Tiaret recorded a deficit of 41.8 million m3 of precipitation, according to official statistics. A situation that plagues the local economy, and affects the social well-being of populations. To solve this problem, the Minister of Water Resources, Hocine Hacib, arrived in Tiaret, where he inspected the Bekhada dam, the Kef Haidar hill reservoir in Mechraa Sfa and inaugurated a project to connect the populations of Sidi Bakhti with drinking water and two 1500 m3 reservoirs in Mahdia. At the end of the two-day working visit, he held a press briefing where he announced the release of a sum of 1 500 million Algerian dinars, or 10 643 000 euros. On this occasion, Minister Hocine also announced that in the future, 100,000 m3 to 200,000 m3 of water would be drawn for household consumption from the El Macta seawater desalination plant in the Oran region. This station, located nearly 250 kilometres away, has been operational since 2016 and produces 500,000 m3 of water per day by supplying several localities in western Algeria. Part of this water will relieve the populations who already suffered in December 2017 from a significant shortage of drinking water. The Algerian State has also planned 16 new drillings, which are in progress in the various municipalities of the locality. For the moment, the quantity of drinking water available in Tiaret is 31 000 m3 per day, against a daily need estimated by the authorities at 237 000 m3.